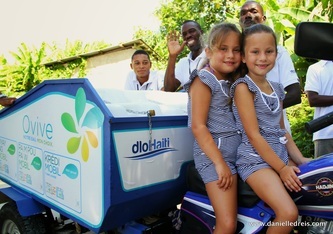 Dlo Haiti decentralizes the supply of potable water by creating water kiosks across the country under the brand name Ovive. These kiosks come with water purifiers that provide clean drinking water to Haitians at affordable prices. With LEAD grant funds, Dlo Haiti will purchase equipment, materials and drill eight boreholes across the country to source water.